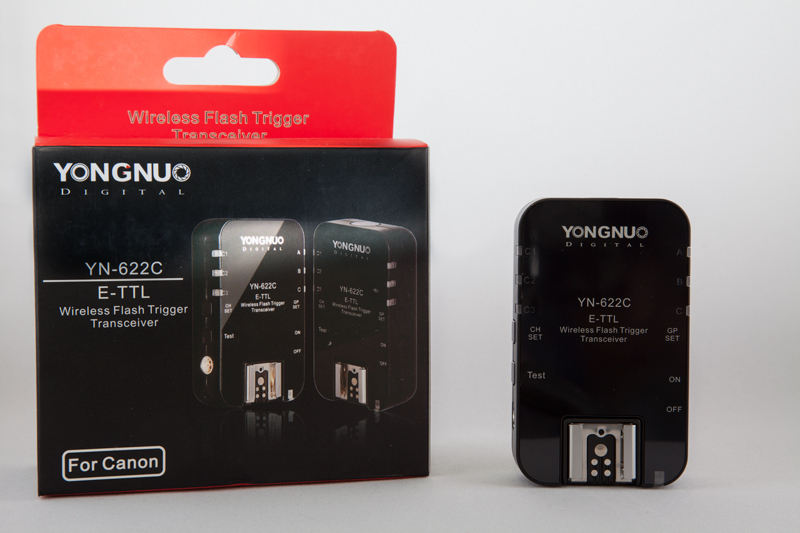 So I thought I’d write a post about my Yongnuo 622C flash triggers. I’ve been working with these a while now and can honestly say I’m super impressed with them. Flash triggers allow you to set up independent flash units and put them anywhere off camera, and they fire when the shutter is pressed allowing endless lighting possibilities. So why would you mount a flash unit off camera I hear you cry, well the reason is that you can choose to light your subject however you like and from multiple angles and light sources. If you’ve looked at snapshots from cameras with the flash mounted at the front of the camera you’ll see that it’s often not very flattering for the subject and the image can look flat with blown out skin tones. You can also run into the problem of red eye. This is often why you’ll see photographers who are using a dedicated flash unit on top of an SLR pivot the head of the flash to bounce it off a surface such as a wall or ceiling nearby. Flash triggers allow further control. These models apparently work up to 100 meters away although I haven’t tried that…yet! I have also been very impressed with their consistency and have not had one misfire yet even testing it with a notorious flash which creates lots of radio interference. The 622C’s also allow for high shutter speed sync and they allow you to control various functions and channels from the camera menu. These features would have been things we could only dream about a few years ago. I think I’ll be shooting more and more with these, competition wise there seems to be nothing comparable at the moment.